New York’s Times Square plaza will be transformed by designers Brad Ascalon, Joe Doucet, Louis Lim, DYAD and Hive Public Space this May. Organized by the Times Square Alliance, the designers’ solutions rethink the street furniture of one of the world’s most visible public spaces. 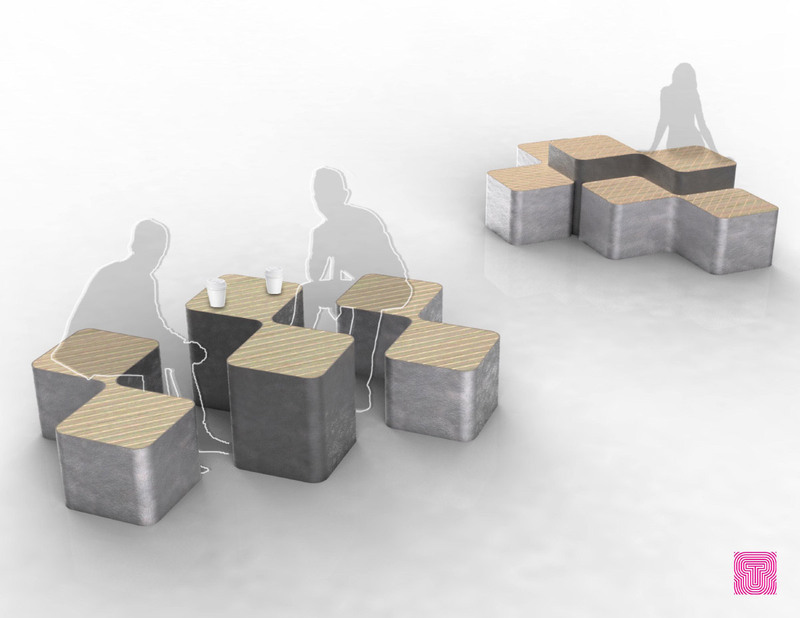 The collection includes conceptual designs for seating, signage, and book display. 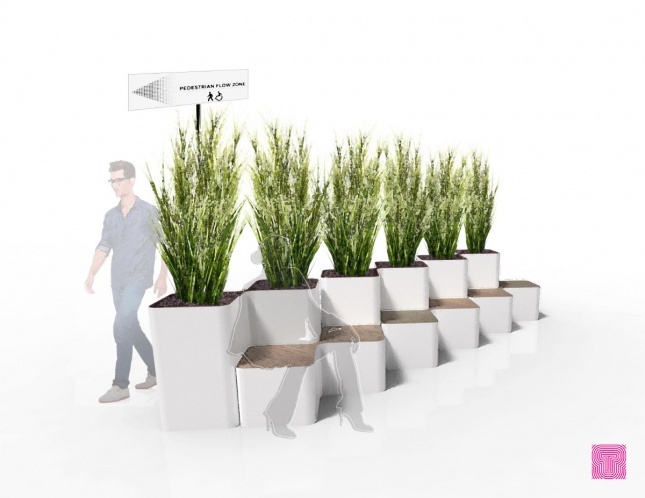 Furniture designer Brad Ascalon designs an “island” that incorporates planters, seating and storage. 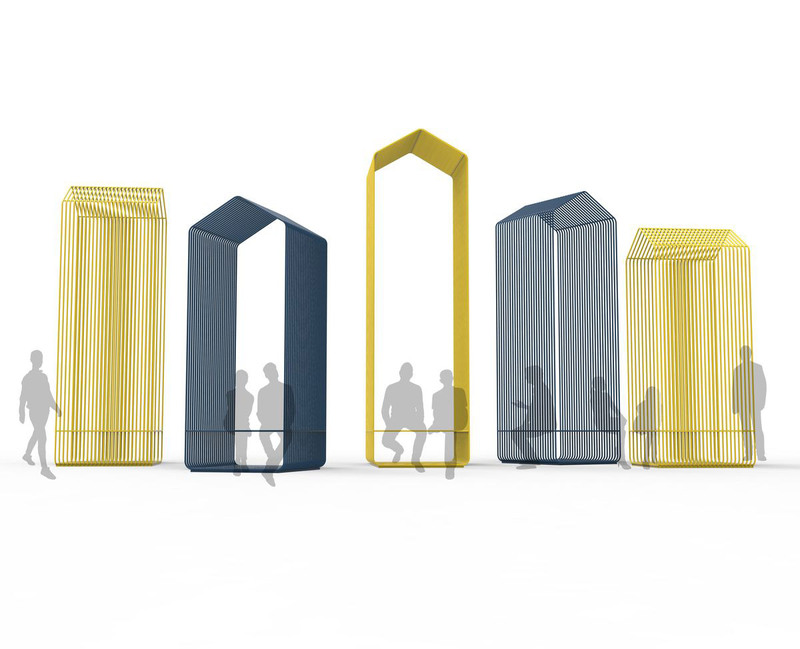 Product designer Joe Doucet envisions colorful pods that organize the interactions of people in the public space. 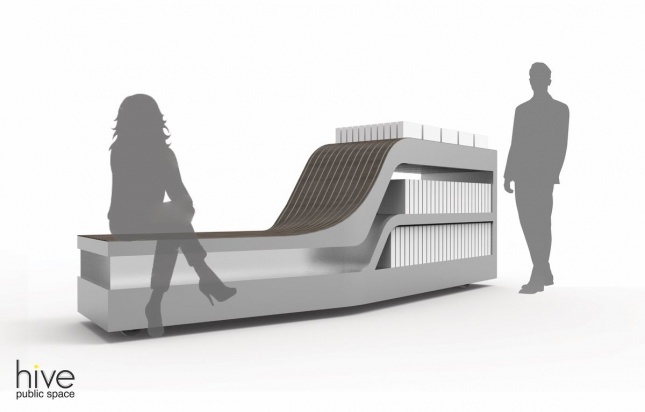 Urban design and placemaking consultancy Hive Public Space combines a bookcase with a bench, echoing the Strand Bookstore nearby. DYAD, led by designer Douglas Fanning, formulates an eye-catching sign holder resembling a kick-boxing stand, and Louis Lim designs a teardrop-shaped, touch-responsive signage system. “Times Square asked great New York City designers to build on permanent transformations such as the red steps and the pedestrian plazas, and temporary transformations through design and public art,” said Tim Tompkins, President of the Times Square Alliance, and the organizer of local events. The pieces will be revealed on the plaza together with the opening of the Design Pavilion during NYCxDesign. They are curated by Times Square Design Lab (TSqDL), which is a collaboration between 6¢ Design, a think tank led by Principal Victoria Milne, and the Times Square Alliance. NYCxDesign is an annual event that celebrates local and worldwide design talents and will take place between May 11 and 23 this year.